Ian Bostridge and Audun Iversen sing Britten’s War Requiem with the New Japan Philharmonic, under the baton of Daniel Harding. Performances take place at Sumida Triphony Hall, on Friday 15 and Saturday 16 January 2016. 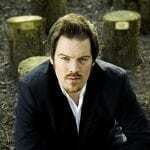 After his visit to Japan, Audun returns to his home city, Oslo, as Giorgio Germont La traviata at Den Norske Opera. He will also give a recital at the Beethovenhaus in Bonn, join the Royal Liverpool Philharmonic for a performance of Carmina Burana, and sing at the Duesseldorf AIDS Operngala before making his role debut as the title role in Wozzeck at Oper Frankfurt. 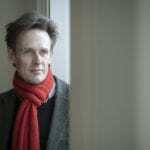 Ian Bostridge will be returning to the Far East at the end of February for a tour of China with the Orchestra of the Age of Enlightenment, performing a programme of Handel and Telemann. He also performs the St John Passion with the OAE in Frankfurt and Paris in March, and the St Matthew Passion at the Hamburgische Staatsoper conducted by Kent Nagano in April. Find out more about the concerts on the New Japan Philharmonic website.